The push towards digitization, steps like demonetization and the rise of electronic wallets points towards the fact that the Indian economy is going virtual. The government is further taking all the necessary steps to enhance its virtual status- one among them is the issuance of Virtual Aadhar card. This card will soon replace the need for the paper-based Aadhar card. To put it simply, this new feature will allow the Aadhar card holder to quote their 16 digits Virtual Id number without disclosing their actual Aadhar card number to the service provider. This step is taken to address the burgeoning privacy issues. Here's a recent tweet by UIDAI chairman that confirms the same. "…..Soon, service provider will start accepting VID in place of Aadhar card. 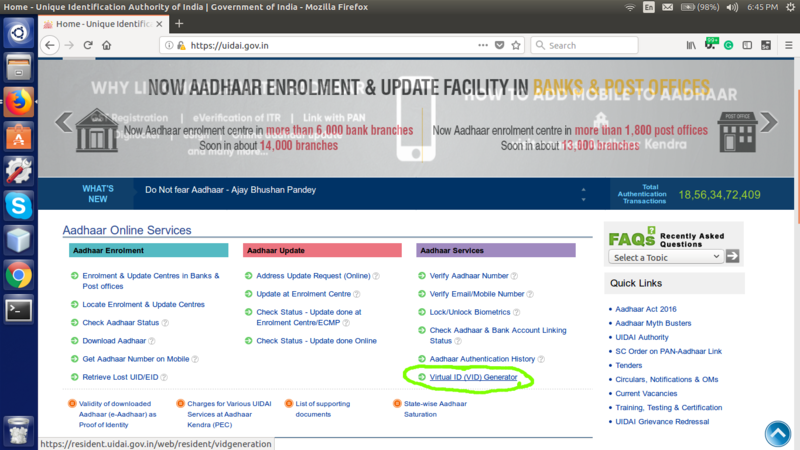 For now, you can use this for online address update in your Aadhar." 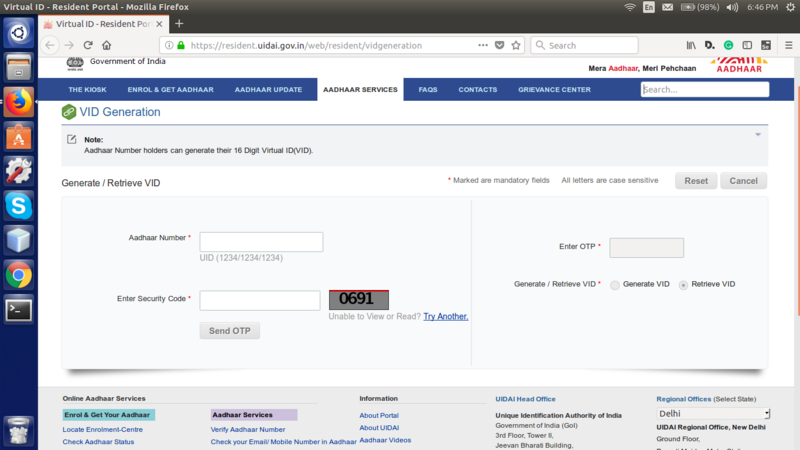 How to generate virtual Aadhar card number? Clicking on this option opens a new tab wherein you need to fill the details like Aadhar number, security details, and then enter the OTP code. Once you enter OTP code three further options will be provided generate VID and retrieve VID. Once done, click on the submit tab. The screen will display the message that the virtual ID of the user has been generated or retrieved successfully and the message will be sent about the same to your linked mobile number. Where can you use the virtual ID card? Virtual ID cards will be used for several purposes including SIM verification and it will be made compulsory by the government for all the agencies to accept the Virtual ID card number from June 1, 2018. Why has the government planned to launch virtual Aadhar card number? The launch of VID can be correlated to the privacy challenges suffered by the Aadhar card. How many virtual ID's can be generated in a month by the user? The user can generate as many virtual ID's as he wants. What will happen to the previous virtual ID? The earlier virtual ID will get cancelled after the generation of the newer one. Do the agencies have the power to generate virtual ID's? The agencies don't have the power to generate virtual Ids for the customer. Any retailer who denies accepting the virtual ID will face the penalty for the same. The virtual Aadhar card will provide the retailers basic information of the holder including his/her address, name and photograph without comprising 12 digit Aadhar card details. But will this fresh move by the government be able to work in the rural areas is still yet to be seen.